If you’re anything like me, four albums from Windir is simply not enough to satisfy. After exploring and digesting them for the first time years ago, I voraciously searched for more music like Windir. Multiple friends suggested many, many bands, and though most of them just didn’t quite capture that same arctic sound that Windir so flawlessly produced, I was able to discover a few gems that really shine. There are a couple obvious choices. The first is to go over to Metal Archives and see what other projects the surviving members of Windir are involved with. Another avenue I explored was searching for black metal in the Sogndal region of Norway. A couple I just stumbled upon by accident. Enough exposition! Hopefully you hunger for the same thing I did in times long past, and I plan on dumping a truck full of frozen meat down your throats. Let us begin our second foray into Sognametal. Hailing directly from Sogndal, Ulcus formed in the same year as Windir: 1994. However, Ulcus released their debut 3 years after Windir’s Sóknardalr, and, based on sound alone, one can safely assume they were influenced by Valfar’s musical journeys. After releasing their only (appropriately named) album, Cherish the Obscure, the band quickly called it quits, and all of its members promptly joined Windir to create a full line up, both creatively and for live purposes. Ulcus is highly intriguing to listen to, mainly to hear all the creative forces that would eventually combine with Windir to produce 1184 and Likferd, as well as to go on to form the mighty Vreid. Ulcus’s debut album is heavily influenced by mid-90s black metal, such as Mayhem, Bathory, and Darkthrone, with hints of Sóknardalr and even Arntor sprinkled throughout. Sometimes, the complex counterpoint that would be present one day on Windir’s 1184 can be heard subtly rearing its head in a more simple format. Although not as high in quality as Windir or Vreid, Ulcus are a crucial component of Sognametal and have a quality album that deserves at least one listen by fans of Windir. Vreid rose from the ashes of Windir. Though some of Windir’s influence remained in the music, Vreid continued in the much more mature sound that Ulcus first explored. Once again spouting sounds similar to 90’s black metal, Vreid brings a hateful flame to the wintry laments of Windir. Vreid seem to split up their sound evenly throughout their albums. 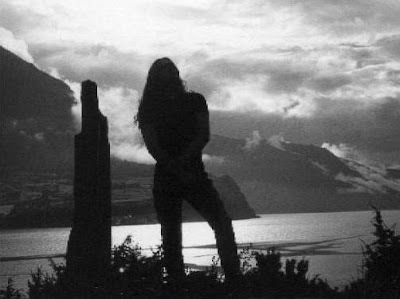 Songs with English titles/lyrics tend to be more stereotypical black metal, whereas songs in their native tongue tend to focus more on the folk and atmospheric elements. This is one of a few bands that ages well, with each successive album succeeding the previous in terms of scope, ambition, and quality. While Vreid obviously have the strongest ties to Windir of any band on the planet due to being composed entirely of ex-members, their sound differs from their predecessor’s. Whereas Windir crafted artful pieces about powerful emotions, culture, and mythical legends, Vreid writes music that represents the translation of their name well: Wrath. Do not be mistaken. This is not like the fiery, belligerent wrath of 1349 or Destroyer 666. This is a slow, methodical, and competent wrath that will wait for a lifetime for you to be in the wrong place at the wrong time to completely obliterate you with no chance of failure. You will die, and you will spend years looking over your shoulder to no avail. Vreid also have incredibly compelling songs about World War II that I cannot recommend highly enough. The song linked below, as well as many others, explore the emotions and rage of the victims of the atrocious crimes committed during World War II. Vreid have a healthy 6 albums to explore, all of which are of good to great quality and worthy of your time. I actually discovered Cor Scorpii first, and only realized afterwards the incredible effect Windir had on their sound. Considering the initial lineup held three of Windir’s members, that shouldn’t really be a surprise. This is the closest you are ever going to get to a pure Windir clone. This band masterfully recreates a sound that fits right between Arntor and 1184. Their demo, Attergangar, contains extremely powerful riffs, melodies, atmosphere, and counterpoint; everything you ever wanted from another Windir album. To the satisfaction of anyone with ears, their debut album, Monument, follows the trend of making stupidly high quality music. I will say that none of the songs on Monument ever reach the highs of their demo, but is an extremely powerful album nonetheless. If there is one band that could ever surpass Windir, this is the band. Unfortunately, Cor Scorpii have only released the demo and album so far. Work is still underway on their new album. If it maintains the absurdly high quality of their demo and debut album, they can and should take all the time they need to complete it. Picking a song is impossible for me, so you get the whole demo. But seriously, if the title track doesn’t make you rip your clothes off and sacrifice a goat, get your ears checked. I found Mistur last fall when I began researching for this article. As a prolific writer, I am now reporting to you that this is the symphonic version of Windir none of us knew we needed (months late, but no big deal, right guys?) Like Cor Scorpii, Mistur don’t run far from their Sogndal roots. It should also be no surprise that they have a former member of Windir (as well as Cor Scorpii) in their ranks: Strom. His influence is palpable throughout the album. Very similar in sound to Windir and Cor Scorpii, Mistur create their own niche through the use of keyboards. Where Cor Scorpii flourishes through excessive melodies and counterpoints, Mistur focuses more on atmosphere and riffing structures similar to Windir. Of course, that’s not to say that similar melodic and contrapuntal passages do not emerge in their sound. Typically, the keyboard tastefully takes over these aspects for the guitar. With Cor Scorpii clearly ranked #1 in following the footsteps of Windir’s sound, Mistur follows at a comfortable distance at #2. This is by no means a diss, as their debut album, Attende, is a symphonic melodic black metal masterpiece. This is some of the greatest melodic black metal created, and is woefully unknown. Also like Cor Scorpii, Mistur are taking their sweet time in recording their second album. The wait will not be in vain if the second album matches or surpasses their debut. For now, we have a single, “The Sight”, that evolves their sound into a more symphonic being. Based on this single, I’m expecting Mistur to adopt a more melodic black metal style a bit further away from Windir, but to still produce a top 10 album. If this thing comes out in 2015, you’re not going to want to flush it. Feigd get associated with the Sognametal name due to being from the same area. A one-man band created by Mordvarg, Feigd shares some of the more basic thrashy black metal riffing of Windir’s later work and a bit of the melodic guitarwork of the earlier releases. Notably, Feigd’s lead guitar tone is uncannily close to the tone on 1184. This guy is clearly trying to follow in the footsteps of Windir’s legacy, and is able to recreate a unique vision of their sound. With a couple demos and only one album, The Dark Passenger, Feigd has established himself as a competent musician who understands and appreciates Windir’s history and combines elements from their different eras, as well as a few of his own twists to provide a satisfying musical journey. Unique against the remnants of Windir, Feigd has no former members. Mordvarg has simply adopted a similar style. While not achieving the high points of Cor Scorpii or Mistur, Feigd’s work will satisfy the itch felt by those who long for more Windir. Windir was one of my very first black metal bands, and remains a significantly important musical milestone for me. All of these bands contributed to the development of my musical taste and character, and are of extreme significance to me. The only purpose I hope to achieve with this pair of articles is to instill a fraction of the reverence I have for these bands into new listeners. As I stated in my last post, the only ones who can truly define what Sognametal is are those who were close to Valfar during his career, as well as the surviving members of Windir. I hope that my articles have done the name of Sognametal justice, and I hope that they bring awareness to the regional style over the years to come. Rest in peace, Terje Bakken. This is where my post ends. There are dozens of other bands out there whose names pop up from time to time in my searches that I have left out for various reasons. Are there any that I should have obviously included? Do you agree that these bands are the primary bearers of the Sognametal torch? Let’s talk about it together in the comments below.